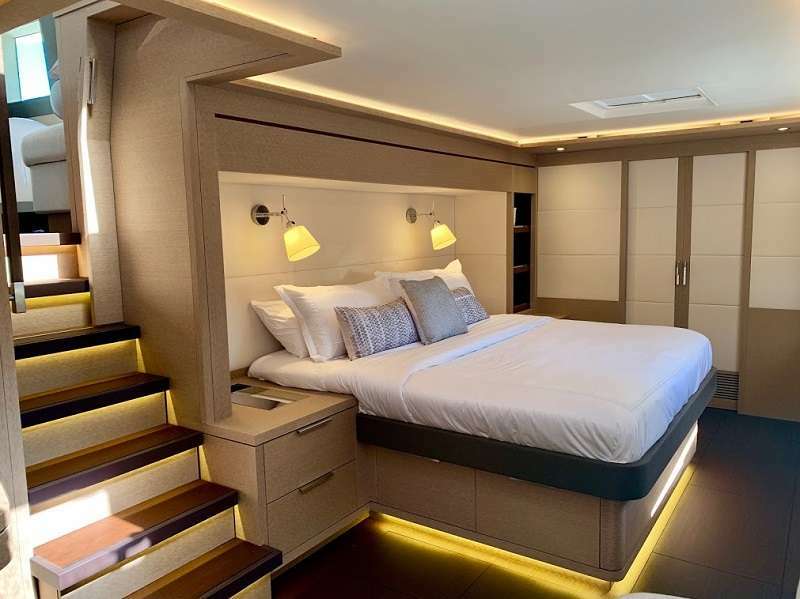 Brand New for 2019 - TELLSTAR is the latest Lagoon Seventy 7 offering the ultimate in luxury travel on the sea. 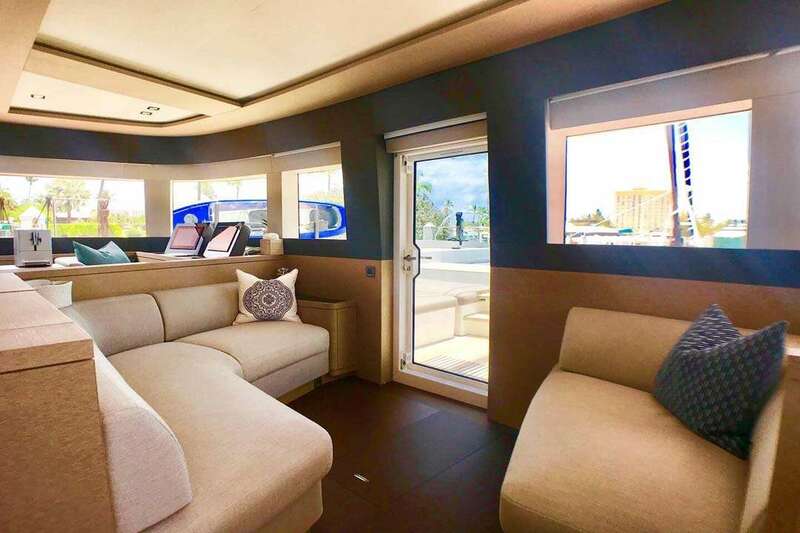 The interior has a layout optimized for space and comfort. 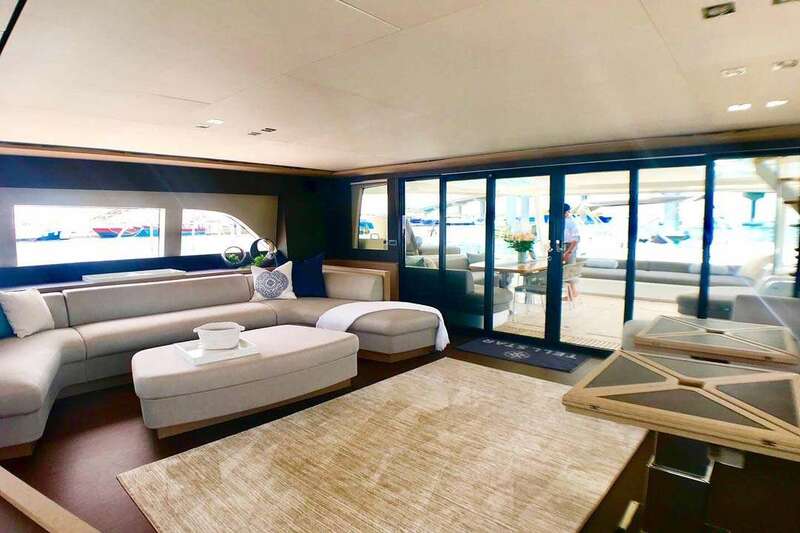 The salon is bright, comfortable and roomy and opens not only to the aft cockpit but also directly to the forward cockpit for seamless movement around the yacht. 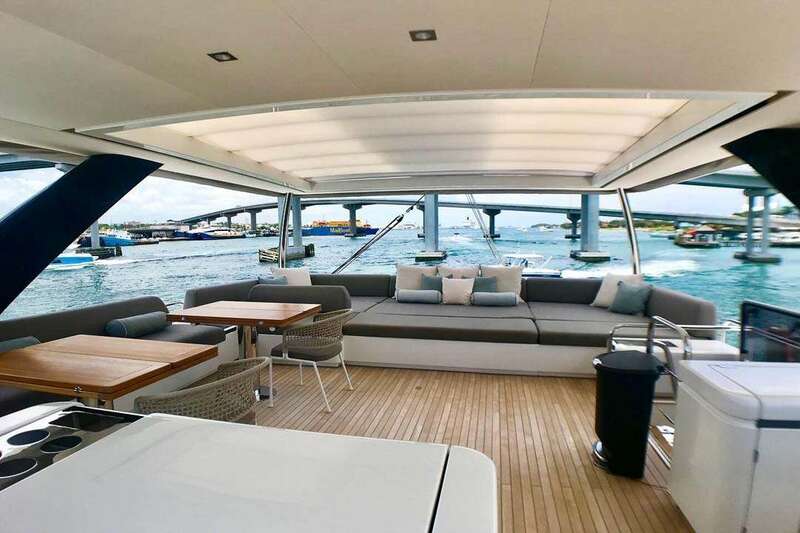 There is a massive flybridge affording an uncompromising 360* view. 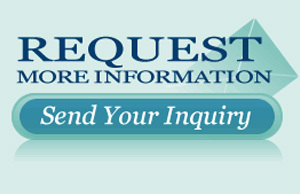 TELLSTAR has luxury accommodations for eight guests in a master stateroom with seating area. 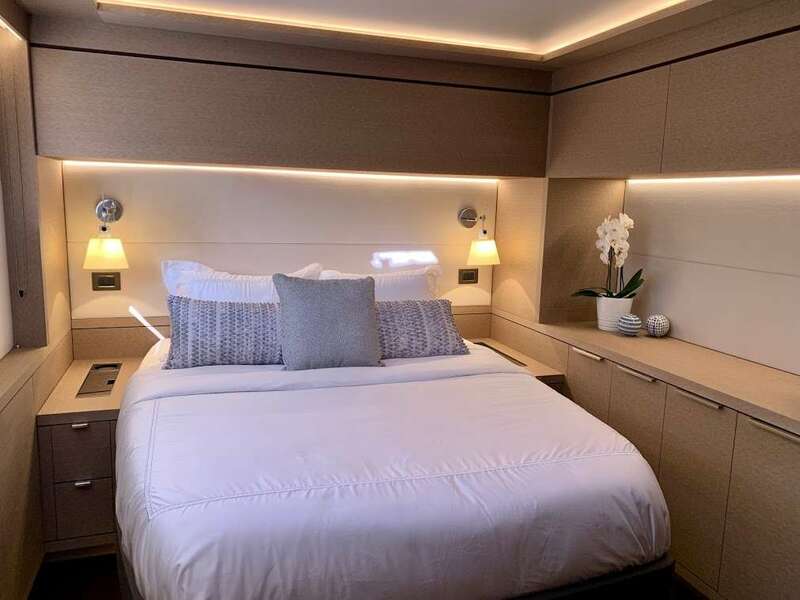 There are 3 additional queen cabins that are elegantly appointed. 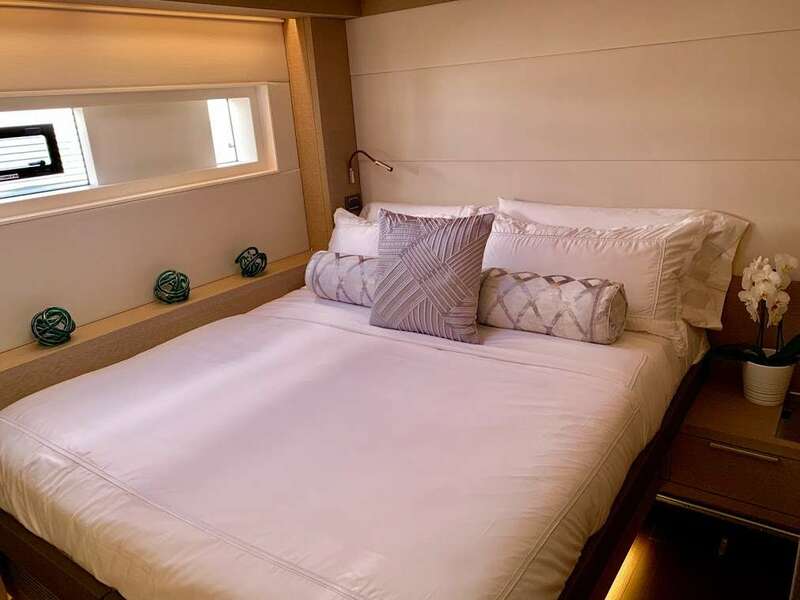 For additional flexibility, one cabin can be converted from a queen bed into 2 individual berths. 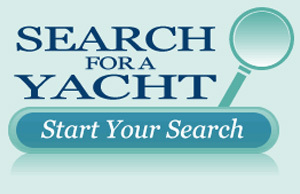 Photos below are of actual yacht. Professional photo shoot to come. 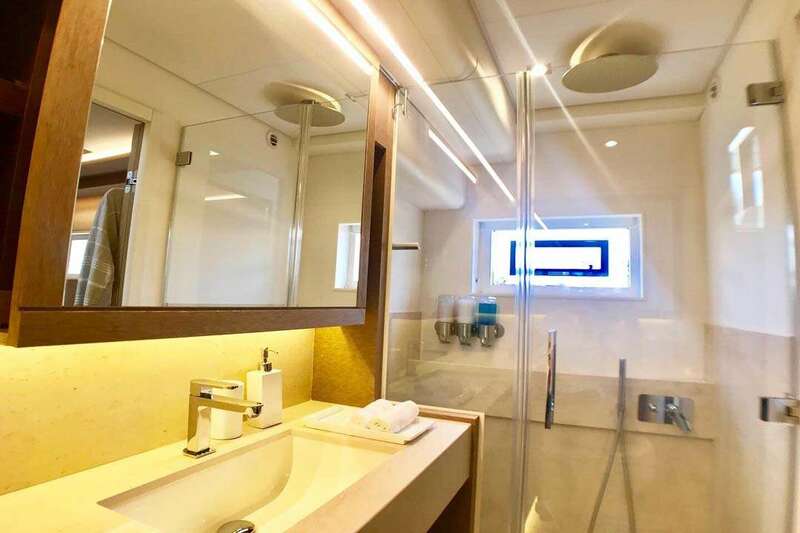 Tellstar accommodates 8 guests in 4 spacious ensuite queen size cabins including an amazing master stateroom. 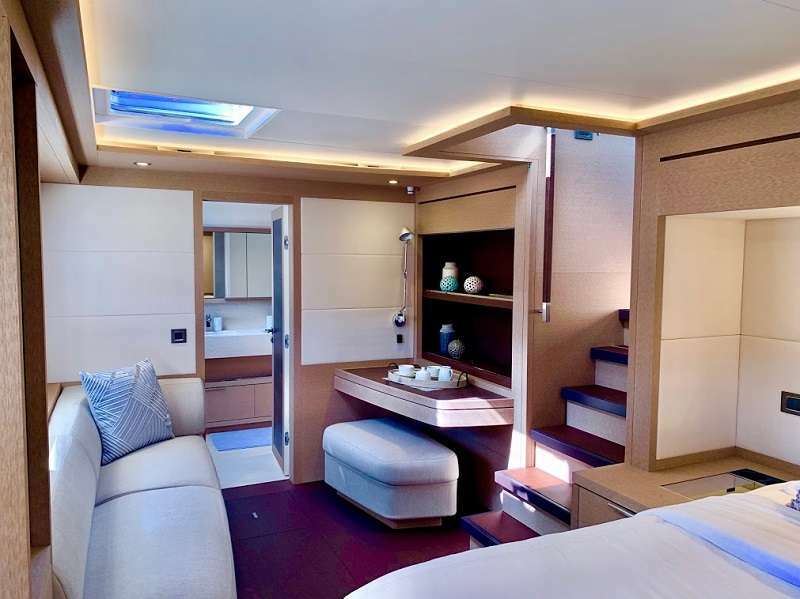 Plus the port aft cabin can be either two single beds or converted to a queen berth. All beds have 3 inch memory foam toppers.